Home > All Products > Wordpress > Themes > Elegant Themes > Dynamic Content For Divi Is Available Now! All Divi module content inputs now support the use of Dynamic Content, allowing you to build dynamic modules that display information pulled from your database. 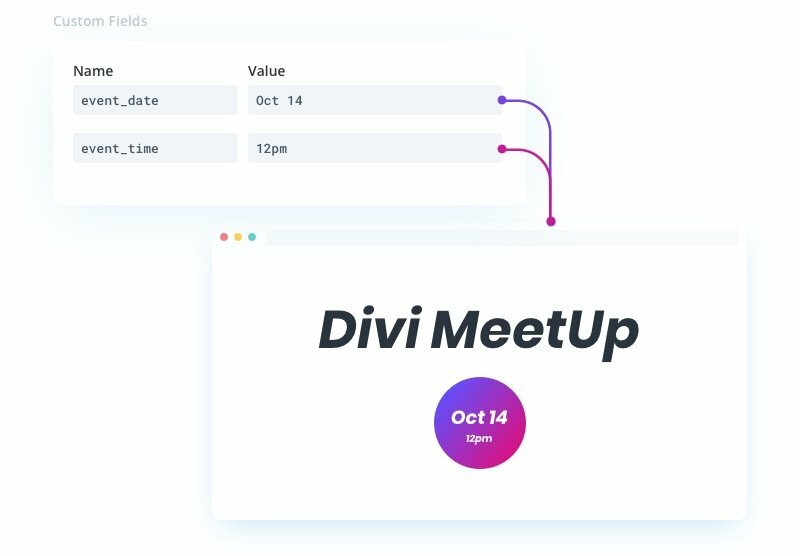 Today we are introducing Dynamic Content to Divi, a much anticipated feature that allows you to turn any Divi module into a dynamic element that pulls its dynamic content from the database via post meta, custom fields and more. You can now transform any static module into a dynamic module that automatically updates itself when its connected content is changed, further enabling you to create fully dynamic post templates. The ability to use Dynamic Content is incredibly powerful, allowing you to build dynamic posts that automatically update themselves as their content changes. Dynamic content is content pulled from your website’s database and managed via WordPress or your plugins. Examples of typical dynamic content include your website title, description and logo, your post titles, excerpts and featured images. Dynamic content also includes custom content created using manual custom fields or custom fields registered by your plugins. Until now, all of the content within a post built with Divi has been static. 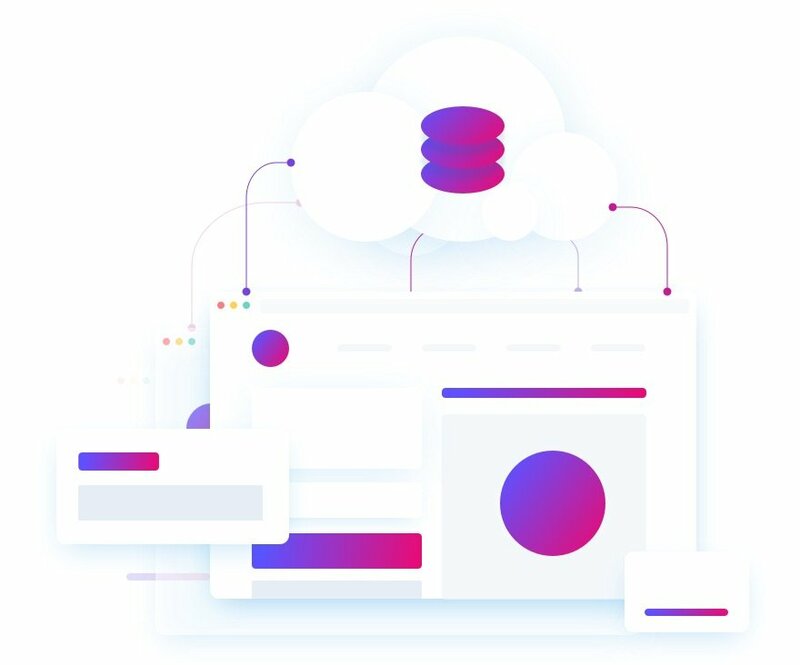 With the introduction of Dynamic Content, all static content inputs can instead be connected to dynamic content entries. All major content inputs in Divi now support the use of dynamic content. Simply click the dynamic content icon to get a full list of all available content. You can then choose your desired item, customize its output and connect it to the module. Whenever that piece of content is changed, it will automatically update within the module, on the page and across your entire website. For example, if you add an image module to your page, and you use dynamic content to connect the image source to your post’s featured image, it will automatically display the featured image on the front end and automatically update the page when the featured image changes. You could also link your post title to a text module, your logo to a header module, your product price to a pricing table module, and so much more using custom fields. An entire layout’s content can be generated from dynamic sources, allowing posts to be built automatically without ever touching the Divi Builder at all. Not only does Divi support that use of standard dynamic WordPress content, it also supports the use of custom field data. Whether you have created your own custom fields, or registered a new custom field with a plugin like Advanced Custom Fields, that dynamic data can now be used within the Divi Builder and connected to any module content area. Whenever you update the value of the custom field, the module will update itself automatically. This allows you to control any kind of content on any part of your website without actually opening the Divi Builder. Dynamic Content is available today, so download Divi and take it for a spin. Let us know what you think in the comments and don’t forget to check back next week for even more great Divi features coming your way. The post Dynamic Content For Divi Is Available Now! appeared first on Elegant Themes Blog. Review and opinions of Dynamic Content For Divi Is Available Now! theme. Voted 4.2/5 of 7 reviews.